The New York Daily News and ProPublica are the twin recipients of this year's Pulitzer Prize for public service. The pairing of a famed local newspaper and an ambitious nonprofit news web site might strike some people as symbolic of turbulent times in journalism. 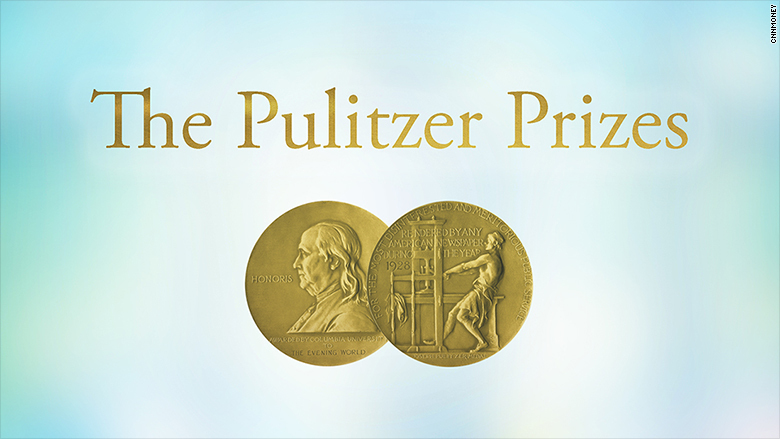 The Pulitzers, administered by Columbia University, are the most prestigious prizes in American journalism for newspaper and digital news coverage. Winners were announced on Monday. The public service prize recognized the Daily News and ProPublica for exposing how the New York Police Department abused eviction rules. ProPublica is just nine years old but has won four Pulitzers, partly through its innovative collaborations with other news organizations. When Monday's prize was announced, some commenters -- including ProPublica Deputy Managing Editor Eric Umansky -- poked fun at White House press secretary Sean Spicer for calling ProPublica a "left-wing blog" last week. The Pulitzers recognize work from the 2016 calendar year, which means some of the entries involved election-related topics. The Washington Post's David Fahrenthold won the national reporting prize for investigating Donald Trump's track record of charitable giving. Short summaries accompanied each winning entry. Fahrenthold's award was the only one that mentioned President Trump by name. But some of the other prizes recognized work that reckoned with the campaign and its aftermath. Wall Street Journal columnist Peggy Noonan received the commentary prize for, the judges said, "rising to the moment with beautifully rendered columns that connected readers to the shared virtues of Americans during one of the nation's most divisive political campaigns." The Miami Herald's Jim Morin won the editorial cartooning prize, and a quick perusal of his work shows that Trump was a popular subject. The staff of The New York Times shared the international reporting prize for what the judges called "agenda-setting reporting on Vladimir Putin's efforts to project Russia's power abroad." The series was called "Russia's Dark Arts." The Times received two other Pulitzers -- one for breaking news photography, for freelancer Daniel Berehulak's work in the Philippines, and one for feature writing, for C.J. Chivers' article about a Marine's postwar life. Chivers brought his daughter Elizabeth with him for the newsroom's annual Pulitzers celebration. In his speech to colleagues, Chivers thanked and apologized to his family for the "toll reporting has taken on his personal life," an editor at the Times, Dan Saltzstein, tweeted. His daughter spoke too, saying, "What the world needs is a strong, free and independent press -- now and always. Congratulations, Dad!" In the Post's newsroom, Fahrenthold thanked his colleagues and also his Twitter followers, since tips from readers helped him uncover more information about Trump's donations. "David never took things at face value. He checked out everything with amazing persistence," Post editor Marty Baron said in a statement. "And he went about his work in an innovative, highly resourceful manner -- soliciting the assistance of the public via Twitter. In that way, he reimagined how investigative reporting can be carried out while also providing a level of transparency into his work that fascinated the public." After the election, Fahrenthold became a CNN contributor on top of his Post reporting. Pulitzer judges also highlighted local news outlets that produced exemplary coverage for readers. The Salt Lake Tribune received the local reporting prize for revealing how sexual assault victims were mistreated at Brigham Young University. Art Cullen, editor of a small Iowa paper called The Storm Lake Times, received the editorial writing prize for what the judges called "tenacious reporting, impressive expertise and engaging writing that successfully challenged powerful corporate agricultural interests in Iowa." The breaking news prize for the East Bay Times, in California, recognized "relentless coverage of the 'Ghost Ship' fire, which killed 36 people at a warehouse party, and for reporting after the tragedy that exposed the city's failure to take actions that might have prevented it." The complete list of winners is online at Pulitzer.org. -- CNNMoney's Alex Koppelman contributed reporting.